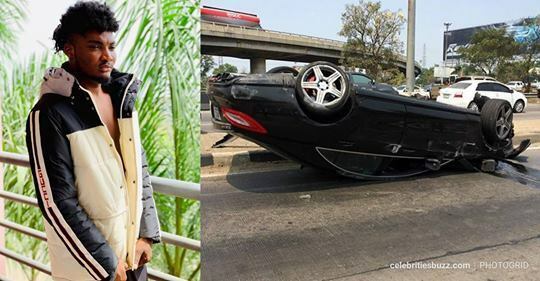 Rising Ghanaian rapper Mawuli Younggod has reportedly disappeared immediately a car he was driving got involved in an accident. 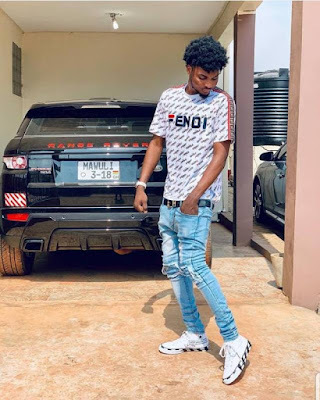 Mawuli Younggod, one of rapper Medikal’s protege, is said to have been in the company of friends when the accident happened in Accra on Sunday. According to a Celebritiesbuzz.com report, an eyewitness said the accident occurred shortly after Mawuli and his crew - made up of his manager and a friend, had finished buying fuel from a filling station. They were said to be over speeding and in an attempt to overtake a water tanker on the road, their car veered off the road and somersaulted twice. The group was then taken to the Ridge Hospital for treatment, however, it was noted by the rescue team that Mawuli, who was driving the car himself, was nowhere to be found. The rapper who was driving the car was said to have disappeared from the accident scene.